Moving House in Battersea? Get In Contact Today! If you’re moving house in Battersea and want to know who to call, look no further than Battersea Removals. We offer speedy house removals services throughout the SW11 area of London and can guarantee you a super-quick house move. So if you’ve left things to the last minute and need help ASAP, dial 020 8746 9633 to get your free quote today! We can provide you with an incredible same day service that will never let you down. Our customer services team are also available to take your advanced bookings seven days a week, so that you can start preparing for your move as and when you need. All of our home removals services are available on a flexible basis and can be tailored to meet your personal needs. What Do You Get With Our Packages? • Experienced house movers who are trustworthy and reliable. • Modern, clean and reliable moving vans which are suitably-sized for your moving requirements. • Specialist moving equipment for those fragile, heavy or large items. • Optional packing materials which are cheap and reliable. • Optional additional extras, such as packing/unpacking services. In addition to this, we can also guarantee that all of our workers will go the extra mile for you; making sure that your house move is 100% hassle-free. So, if you don’t want to stress about your upcoming move, why don’t you treat yourself to a first rate move with Battersea Removals! Some home removals firms like to cut corners by hiring inexperienced workers at low-cost prices. However, we understand how important it is to have a team that you can trust and that is why we only ever hire the best house movers in SW11 region! Our professionals have all been specially selected for their impressive skills and excellent experience. So if you want to make sure that your treasured possessions are in the best possible hands, call us on 020 8746 9633 today! Our team are masters in the art of lifting, loading, packing and unpacking and can make sure that every stage of your move is handled with the care it deserves! Get All Of The Extras At Low, Low Prices! 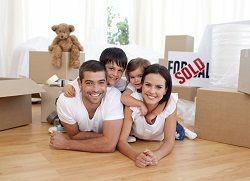 When you hire one of our house relocation packages you can also opt to take advantage of our great additional services! Whether it’s buying quality packaging materials or one of our exceptional packing services, there is nothing that our firm can’t take care of. So, if you’re moving house and don’t want to stress out about the little things, check out our great range of all-inclusive services. We offer more deals than any other local firm and proud to be your one stop shop for moving in SW8! Remember that you can tailor all of our services to suit your requirements, so you never have to pay for anything that you don’t want! Flexible Packages Available Seven Days A Week! So, if you’re moving house in Battersea and want to get an incredible deal save our number in your phone now – 020 8746 9633! Our packages are second to none and offer excellent value for money in the SW8 area. Our house relocation services are also flexible and easy to book and are available extended hours, seven days a week. With a free quoting service and no obligation to buy, there really is no excuse not to give us a try. For more details, email or phone us any day of the week, our friendly customer services team will always be happy to give free and impartial advice.